Thank you for choosing Hostel Cosmos Amsterdam! 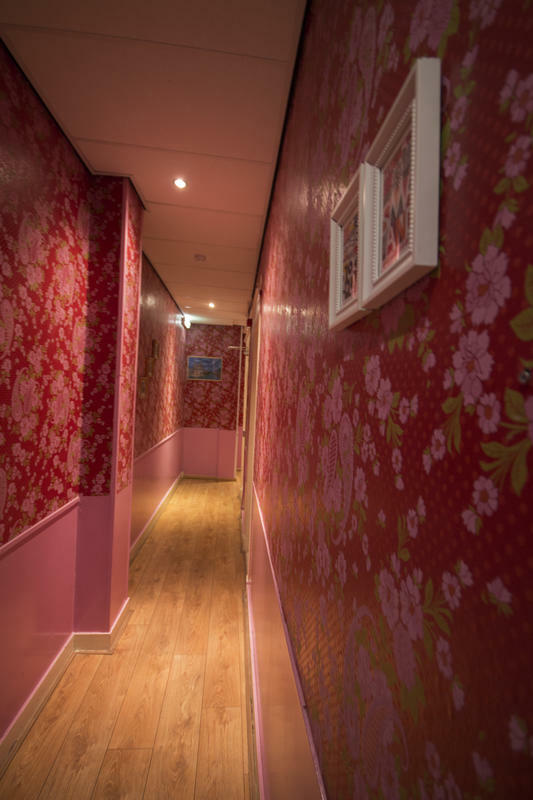 Our hostel is located in the most central area of Amsterdam, just four minutes' walk from Centraal Station. 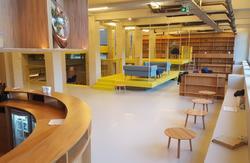 Hostel Cosmos Amsterdam is a cool little youth hostel. The friendly atmosphere and generous hospitality have drawn guests back to our hostel over and over again. We're also more than happy to assist you with your day trips, pointing out the highlights of the city and help you out in finding your way in Amsterdam. Our hostel is also the permanent residence of Simba, the house cat. Any guest who may be allergic to cats should be mindful of this before booking their stay with us. 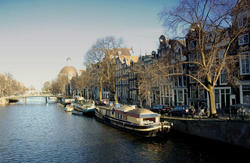 We are looking forward to welcoming you to Amsterdam and the Hostel Cosmos Amsterdam! We choose to have a more laid-back and personal atmosphere and therefore we don't accept multiple group bookings of six people or more. We also donâ€™t permit persons under 18 years of age or above 40, pets, any bookings of stag nights, hen nights or sport tours, soccer fans for (inter)national matches and large groups of males ( 6 persons or more). Read the above carefully because in the event of a false booking, there will be no check in nor will there be a refund. Before booking, we kindly ask you to read our terms and conditions below carefully. â€¢All CANCELLATIONS have to be notified to us by e-mail and 1 week (7 DAYS BEFORE ARRIVAL DATE) after this period there is a 100% charge of the total cost. â€¢In case of no show, your credit card will be charged 100% of the total cost. â€¢We will need (pre) authorization of VISA or MASTERCARD for the total amount. â€¢Once you arrive you can pay in cash and we will not charge the card. Walk out of the station and walk over to the Victoria hotel. When you're facing the Victoria hotel, turn right and you go into the second street on the left, named 'Martelaars Gracht'. Follow the Martelaars Gracht in to the Nieuwezijds Voorburgwal. After passing eight alleys (small streets) on your left hand you will see our street: the 'Nieuwe Nieuwstraat'. Go in this alley. You're now in the 'Nieuwe Nieuwstraat'. You will find us at number 17. A single ticket costs Euro 2,80. When you get to Amsterdam Centraal Station, walk outside the station and you'll find trams. The following trams will take you straight to the hostel: tram line 1, 2, 5, 13 and 17. The stop is called 'Nieuwezijds Kolk'. You have to cross the street and walk toward Hotel Convent. The Nieuwe Nieuwstraat is between Hotel The Convent and Japanese restaurant Kobe. We are located in the Nieuwe Nieuwstraat 17. 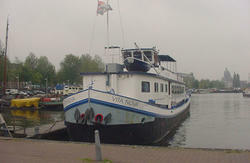 The Eurolines bus station is next to the Amstel Station. From the Amstel Station take metro 51, 53 or 54 to Amsterdam Centraal Station (one travel zone). Then follow directions as above. From the airport take a train to Amsterdam Centraal Station and then follow directions as above. Trains between Schiphol and Centraal Station depart about every 10 minutes between 6am and 1am, and once every hour between 1am and 6am. A one-way ticket will cost Euro 3.80,- from a vending machine; you will need some coins though. Trains to Amsterdam Centraal Station generally depart from platform 1 or 2.